One of the more versatile and flavorful sauces that you can make is pesto. Pesto is an italian sauce used on pasta, sandwiches, meats, fish, hors d'oeuvres, and anything else you can think of. Classic pesto recipes use basil and pine nuts as the main components, but you can use any herbs or greens you like such as cilantro, parsley, arugula, or even kale along with any type of nut. I've made pistachio cilantro and arugula and almond pestos, and any variation you make will have a different personality depending on which components you use. For a healthy pasta dish, I decided to make a basil pine nut AND walnut pesto (I know, I'm a wild man...) with roasted vegetables and seared scallops. 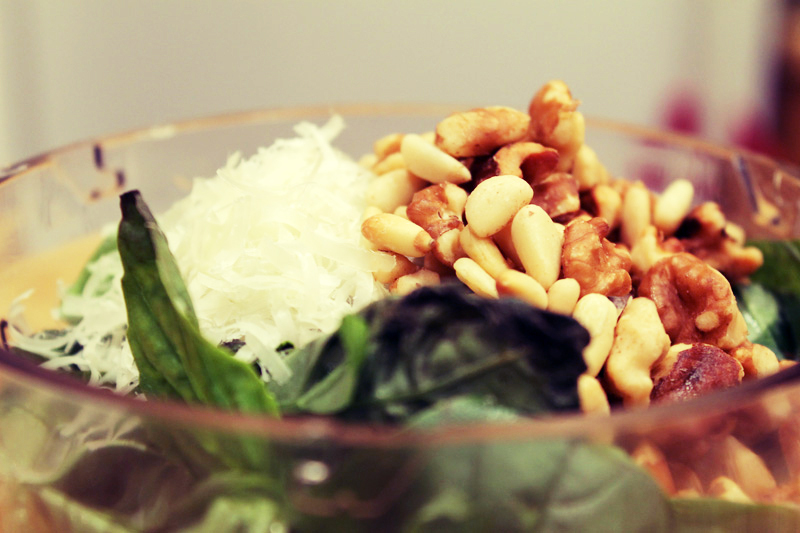 For the pesto, I lightly toasted a half cup of pine nuts and chopped walnuts until fragrant and then blended them with a packed cup of basil, 3 garlic cloves, the juice of 1 lemon, a quarter cup of shredded parmesan cheese, 1/4 cup of olive oil, and salt and pepper. 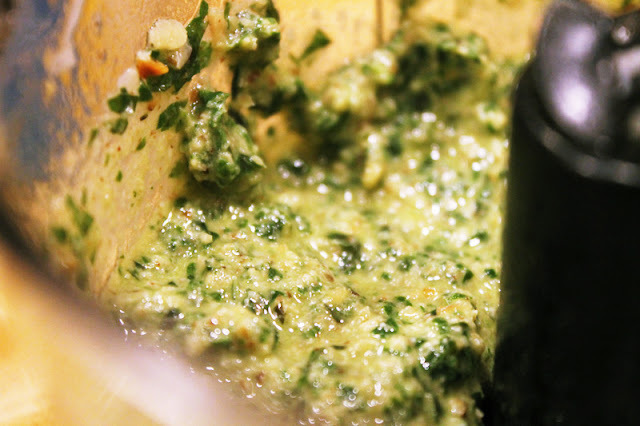 The tricky part about making pesto is that the texture and flavors change dramatically as you blend. I tend to add all of the ingredients other than the lemon and olive oil first, and then gradually add in the oil and juice, adjusting and tasting as I go along to find the best texture and acid balance. If you find that your pesto is a little too tart, add a little bit of sugar to sweeten it up and balance the acidity. 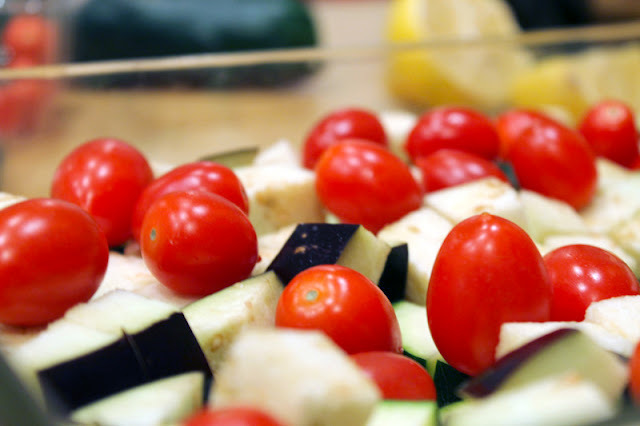 For the rest of the dish, I cut up eggplant, zucchini, onion, and tossed them with cherry tomatoes in olive oil, salt, and pepper. 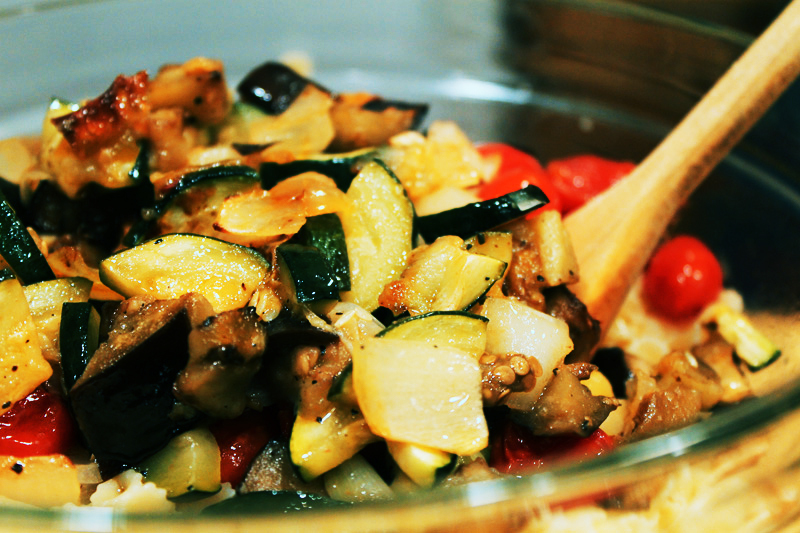 I roasted the veggies in an uncovered pan for about 35 minutes on 400 until they were brown and softened. While the veggies were cooking, I boiled water and cooked up some farfalle, which is a small bowtie shaped pasta. I like using shaped pastas with pesto because the sauce gets caught in the little crevasses and makes for a delicious burst of flavor. I then seared the scallops by heating butter and olive oil in a pan and searing them until browned. 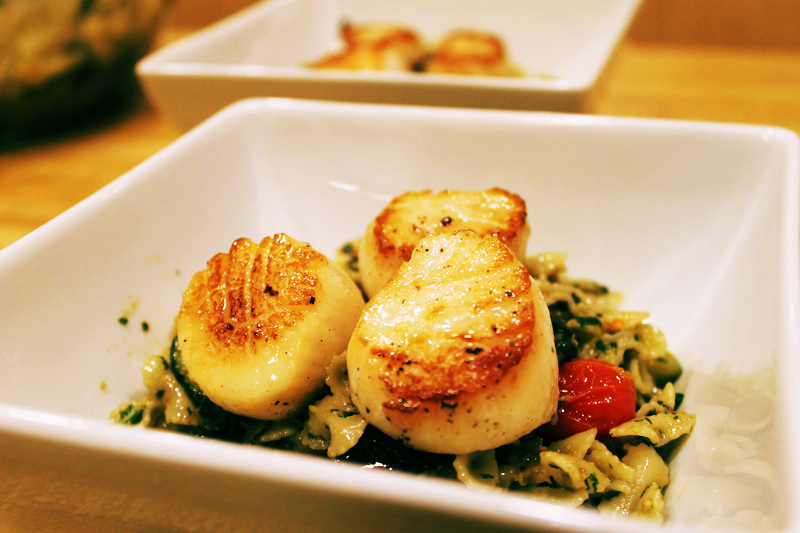 For a more details on cooking scallops, look here. Serve in bowls with 3 scallops per person on top and enjoy!